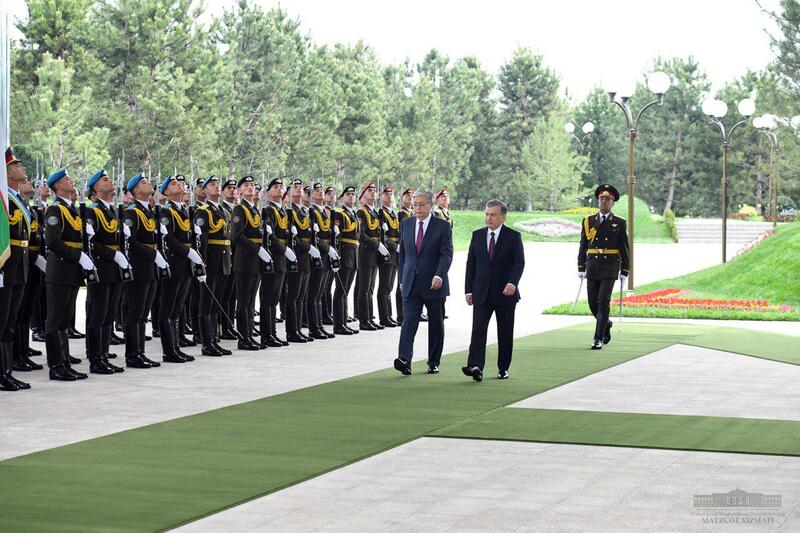 The high-ranking guest has been met today, on April 15, at the Kuksaroy country residence with an official ceremony. 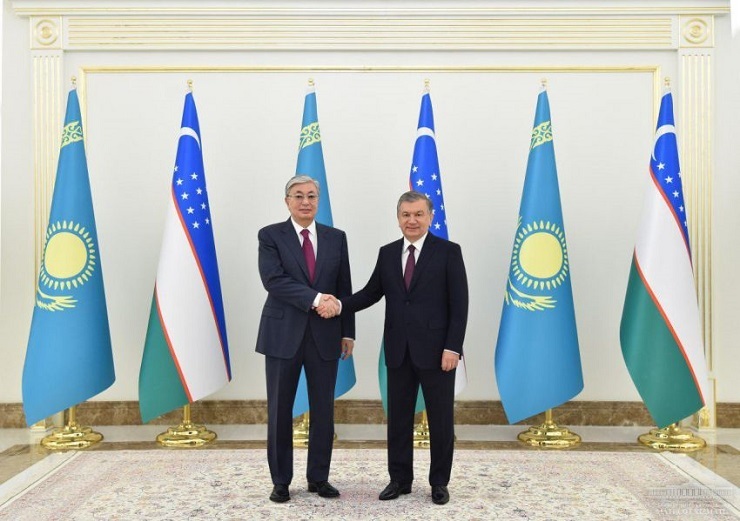 Uzbekistan’s President greeted his colleague on a visit to our country and noted that the event constitutes a consistent continuation of the political dialogue that has intensified in recent years. 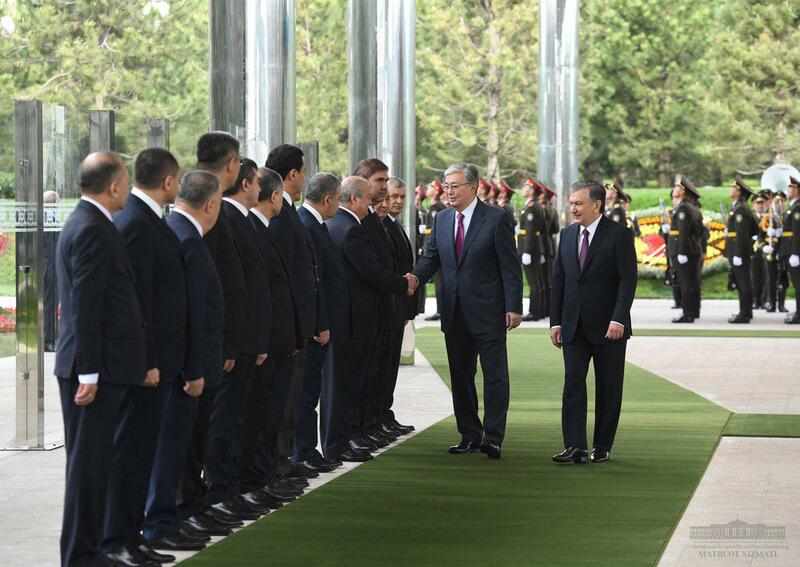 “We value high the fact that your first state visit as President of the Republic of Kazakhstan is a visit to Uzbekistan. In this we see a clear manifestation of commitment to the enhancement of the strategic partnership between our two nations. For us, Kazakhstan is a close neighbor and strategic partner. 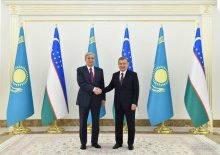 We are pleased with the positive dynamics in all areas of cooperation,” Shavkat Mirziyoyev said. 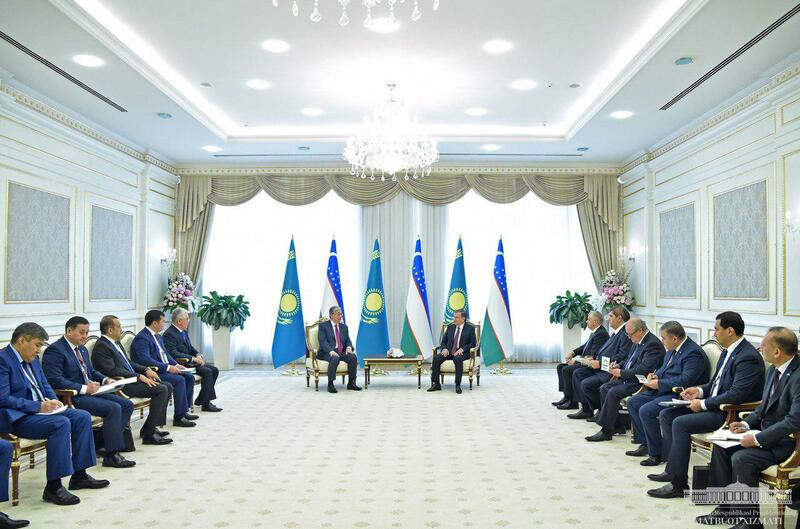 Kazakhstan’s President expressed gratitude to the head of our state for the invitation to Uzbekistan and voiced his conviction that the negotiations would prove fruitful. 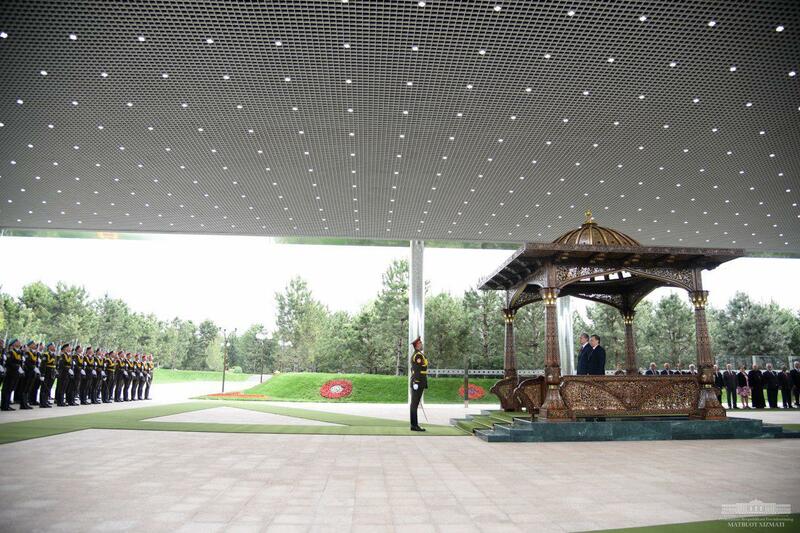 “I fully agree with your assessment of the quality and practical substance of cooperation between our two countries. 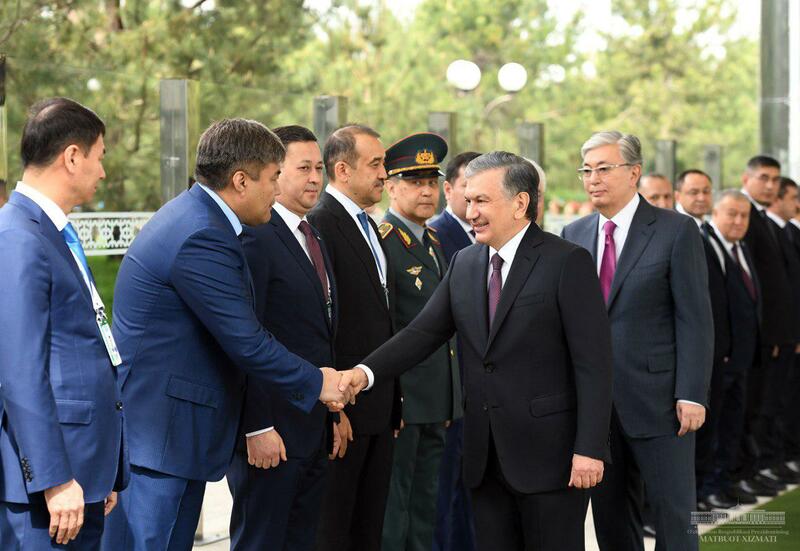 You, dear Shavkat Miromonovich, and the First President of Kazakhstan, Nursultan Nazarbayev, raised the interstate relations to a completely new level. I consider it my task to maintain this pace. 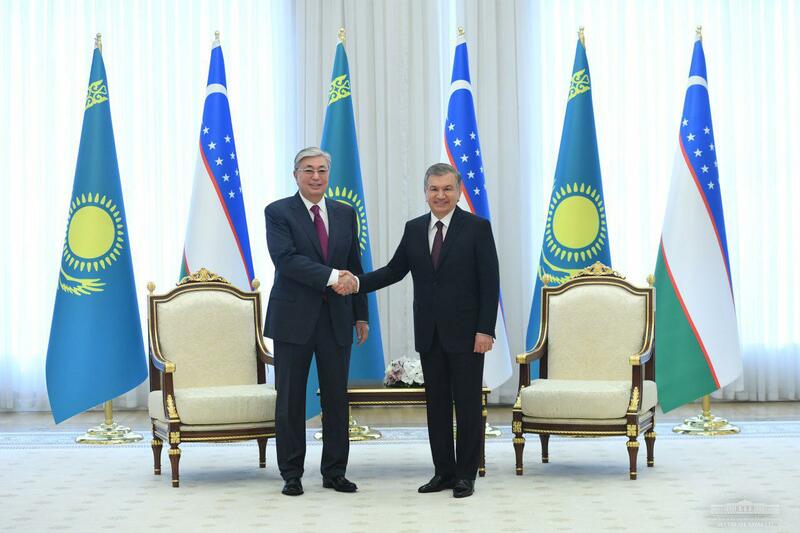 In Kazakhstan, there is a very high need for cooperation with the fraternal Uzbekistan,” Kasym-Zhomart Tokayev suggested.